People have profiles; businesses/brands have pages. Create and treat your welcome page like a landing page. Add calls to action; don’t miss the opportunity to generate some leads. Set up Custom Tabs for resources using the FBML application. Facebook pages must be as inviting as possible. The format of your page should first be focused on creating an engaging environment for your fans, which when executed properly, will result in generating and collecting more information about your leads. Be as creative as possible, and determine which activities or apps would best supplement your company’s brand. 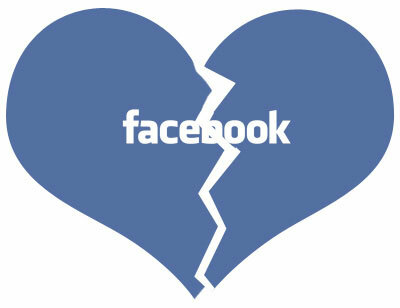 Are Facebook Changes Driving You Mad? Change, good or bad, has always been difficult. If you’ve been on Facebook for awhile, you know that they occasionally make major changes that some users love and others hate. It seems the initial shock of change is what puts people off. They adjust to the way things are, and then all of the sudden it is something different. However, in most cases, after a couple of weeks, most people adjust to the new and have a hard time even remembering how things used to be. Looking back, we didn’t use to have a news feed, we didn’t have a wall. Those changes caused much angst as well. When you pick up a newspaper after not reading it for a week, the front page quickly clues you into the most interesting stories. In the past, News Feed hasn’t worked like that. Updates slide down in chronological order so it’s tough to zero in on what matters most. News Feed often has a time lag. Usually when you’re on Facebook, a lot of your friends are too. Until now, there hasn’t been an easy way to see and chat with your friends about photos, articles, and other things they’re posting in real-time. The new ticker helps you do just that. Ticker shows you the same stuff you were already seeing on Facebook, but it brings your conversations to life by displaying updates instantaneously. Now when a friend comments, asks a question or shares something like a check in, you’ll be able to join the conversation right away. Click on anything in ticker to see the full story and chime in – without losing your place. See more from this article here. It takes a little time to adjust. I think Facebook is not always the best about how they roll out changes. I think they are kind of using the “pulling off the band-aid” approach – do it all at once and get the pain over with. The profound changes that are promised today are dreaded by some and eagerly awaited by others. I’ll be here watching for the changes and then trying to see how to best leverage them to help you continue using Facebook to build relationships and reach your target market. Stay tuned. Download the current Facebook 101 for Business eBook and you will be notified in advance when the new, revised and expanded version is available that will include information about all the changes that are happening right now! Facebook Smart Lists – Not That Smart? For instance, if you list Boston College as a school you’ve attended and your friends John and Sarah do too, then you would instantly have a smart list called “Boston College” with John and Sarah on it. This means that if you’re having a grad party or a college reunion, you can easily share photos with just your college friends, without bothering other people you know. You can also add or remove friends manually to make the lists even more accurate. Okay, so if you haven’t made lists before, this is a helpful tool to get started. However, the functionality is so limited, I’m not too sure how “smart” it is. The problem with the new smart lists is that they offer lists for only your work, school, city, and family. You cannot search for people outside your own lists. For instance, we have several clients from other cities. It is sometimes helpful for me to see what is being posted by my friends in a particular city. I have set up lists of my friends in some of those cities. Facebook made that easy because I could search by current city (other than my own current city) and then add the people to the list for each city I chose. With the “smart” lists, I cannot search for people in other cities. The smart lists shows me people who are within 10 miles of my current city only. That is fine for adding people to my list of people in my current city, but does not help me at all when I want to make lists of people in other cities. This is also the case for work, school and family. Because Facebook had this functionality and then took it away with this latest update, my hope is that they will add it back at some time. Judging by the feedback on the Facebook page, there is a lot of “dislike” for how Facebook is now doing lists. Let me add a caveat. I appreciate that Facebook is trying to make lists easier. The bigger your friend list, the more cumbersome it is to get lists organized. This could be a great update if it they will extend it to include searches that they included in the past (and maybe even add to that). Do you use lists? What do you think? Keep up to date with what is going on with Facebook and lots of other information that can help you with marketing your business online by subscribing to the Wharton Internet Marketing Blog. You can sign up over to the right! 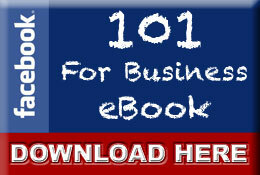 By the way, there is a new Facebook for Business 101 eBook in the works. Just letting Facebook get settled down a bit before release. Stay tuned!